Asked about what separates him from potential presidential rival Ted Cruz, former Gov. Rick Perry talked about how executive experience would be a key selling point. 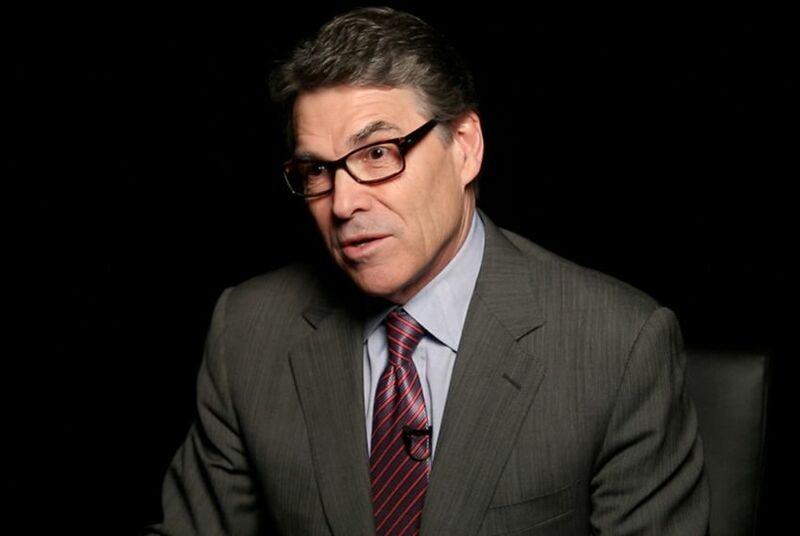 Perry touched on several other issues in an interview with the Tribune and The Washington Post. WASHINGTON — For any Texans torn between Rick Perry and U.S. Sen. Ted Cruz as likely presidential candidates, the state’s former governor argued Thursday that executive experience matters. In a wide-ranging interview with The Texas Tribune and The Washington Post, Perry discussed international, presidential and Texas politics. Asked about what separates him from Cruz, Perry never mentioned his potential rival by name. Instead, he downplayed Senate experience and alluded to the fact that Cruz’s tenure in office is the same as then-Sen. Barack Obama's when he ran for president in 2008. Perry, Cruz and around a dozen other Republicans are in the early stages of building expected campaigns for the Republican nomination. Texas will probably be a battleground for donors, political operative talent and delegates. Other Republican candidates with Texas roots like former Florida Gov. Jeb Bush and Kentucky Sen. Rand Paul are not ceding the state to the former governor. But the competition could be potentially fierce with Perry's fellow Texas resident, Cruz. But that message could be lost amid his ongoing legal problems stemming from his veto of funding for the state's public integrity unit. GOP operatives have speculated that Perry’s indictment and the subsequent negative publicity put donors at risk. His camp sought to undercut that argument by unveiling 80 donors on Wednesday. He said his legal team is confident the case will be thrown out and he will survive politically. Now out of office, Perry is fully concentrated on that potential campaign. He now lives in a 1,400 square-foot condominium with his wife, former Texas first lady Anita Perry – a contrast to the Governor’s Mansion that he often jokes about. They are building a home east of Austin. And it's from there, as a state government outsider for the first time in 30 years, that he's watched some of the recent controversies at the state Capitol. He said he was not impressed with state Rep. Molly White’s recent Facebook post ordering her staff to ask Muslim representatives visiting her office "to renounce Islamic terrorist groups and publicly announce allegiance to America and our laws." He also commented on the other controversy consuming debate in Austin: the open carrying of handguns. His successor, Gov. Greg Abbott, recently proposed the end of Perry’s Emerging Technology Fund and diverting some of that money into another program Perry backed, the Texas Enterprise Fund. Both funds have come under scrutiny and criticism. Perry insisted the changes do not bother him. ISIS: Perry, a former Air Force pilot, was visibly angry about ISIS's immolation of a Jordanian fighter pilot. Asked if Americans and their allies should kill every member of ISIS, he answered: "That would be my preference." Vaccines: Perry came out in strong support of parents getting their children vaccinated. Read more about the interview from The Washington Post. Robert Costa of The Washington Post contributed to this report.